I think that everyone who has ever studied the internal styles of Chinese martial arts has envisioned the martial arts "master" as a highly skilled, humble, wise, old sage-like individual who is intelligent, virtuous, and of high moral character. Unfortunately, in today's world, this ideal teacher is very much the exception instead of the rule. During the past six years, I have interviewed dozens of internal martial arts teachers in the United States, Canada, Europe, Taiwan, Hong Kong, and Mainland China and I have only met a few who would come close to having a character as described above. That is why it was so extremely refreshing for me to meet Zhang Yi Zhong — ^ - he romanizes his name as Chang I Chung). He is a man who emphasizes the development in sage-like qualities in his teaching and, more importantly, he embodies these qualities himself. Zhang is a highly skilled, intelligent, bright, humble, joyous, generous man who professes that through the study of internal martial arts one's aim should be becoming a sage, not a warrior. Being in his company is an absolute pleasurable and a completely positive experience. I met Zhang Yi Zhong for the first time in January, 1996, however, I had heard about him for years. Every time I have ever interviewed any of Wang Shu Jin's ( iUit ) early students, they have always pointed to Zhang as having been the "cream of the crop" (for more information about Wang Shu Jin, please see Pa Kua Chang Journal, Vol. 2 No. 2 and Vol. 5 No. 6). Whenever I tried to gain information as to his whereabouts, I would be told that he was somewhere in the United States, but I could never track him down. Luckily, last year I was put in contact with Joe Deisher, Zhang's student for the past 30 years, and was able to set up a meeting with Zhang. Although Zhang lives near Los Angeles, all of his teaching is done using Joe Deisher as his translator (they both speak fluent Japanese). 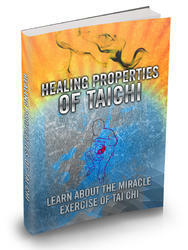 Therefore, all of Zhang's teaching occurs in the Santa Cruz/San Jose area of California. Zhang has been teaching right in my backyard for years and I never even knew about it! Zhang Yi Zhong is a true treasure in the world of internal martial arts and it is of great importance that a man of his skill, intelligence, and character is here in the United States teaching these arts. I hope that this article will help expose Zhang Yi Zhong and his teaching to more practitioners in the United States. He is a rare individual and what he has to teach needs to be preserved. Seventy-five year old Ba Gua instructor, Zhang Yi Zhong in Shanghai and during that time also started studying Wu style Tai Ji Quan Zhang says that when he was in high school he had heard about the arts of Ba Gua Zhang and Xing Yi Quan through the reputation of Sun Lu Tang but he did not study those arts. Another subject that Zhang studied while he was in Shanghai, which would prove valuable later in his life, was the Japanese language. When Zhang was in his early twenties he got a job working for the Nationalist Government in Shanghai. World War II had just ended and with the Japanese withdrawal from Taiwan, the Chinese government needed to go to Taiwan and take things over from the Japanese. Zhang Yi Zhong was part of the contingent that went to Taiwan from mainland China in 1946 to help establish the Chinese government there. Zhang says that he was literally on the third ship to leave Shanghai after the end of WWII. 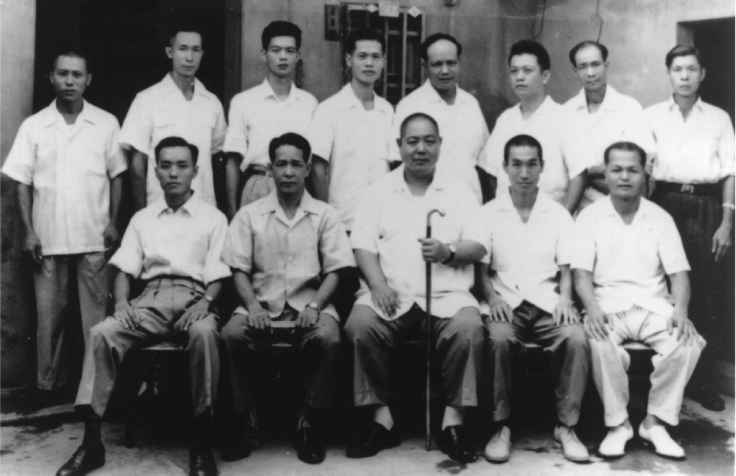 Zhang Yi Zhong with Wang Shu Jin (with cane) and a group of Wang's students in 1959. Zhang is on Wang's left. said that when he arrived in Taiwan, he continued practicing his Wu Style Tai Ji on his own, however, he was still very interested in continuing his study of martial arts in Taiwan. Since there was no Tai Ji, he went around to various instructors and learned whatever arts they were teaching. He says, with a slightly embarrassed expression, that as a young man he had a dream of being a martial arts movie choreographer, so he thought it would be good to study many different styles of martial arts. Zhang's first exposure to the internal martial arts in Taiwan came from Wang Shu Jin's teaching of Chen Pan Ling's integrated Tai Ji system. At the time, Zhang was working for the treasury department. Next door to his office was the tax department. Zhang said that many of the individuals working in the tax department were interested in learning Tai Ji for health and so they contacted the local Martial Arts Association to see if they could get an instructor to come to the office and teach. Chen Pan Ling, who was the head of the Martial Arts Association, sent Wang Shu Jin. When Wang showed up to teach at the government offices there were about 100 people interested in studying Tai Ji from him. Zhang said that he watched what Wang was teaching, and although he had never seen the particular form that was being taught, he thought it looked good, so he began taking the class while continuing to practice his Wu style Tai Ji on his own. After Zhang began studying with Wang at work, he found out that the Martial Arts Association also had a weekend gathering. Zhang began attending these gatherings to further his study with Wang Shu Jin. At one of the practice sessions, Chen Pan Ling picked Zhang out of the crowd and began showing him some corrections and teaching him some new things. Zhang said that although Wang Shu Jin was the functional teacher at these classes, Chen Pan Ling and some of the other elders would occasionally give advise and suggestions. It was at these weekend gatherings that Zhang also studied Xing Yi Quan and Ba Gua Zhang with Wang Shu Jin. When asked about the teaching styles of Chen Pan Ling and Wang Shu Jin, Zhang said that neither of these gentleman provided a great deal of detail in their teaching. He said that both teachers were highly skilled and very strong, however, they did not analyze and provide details about what they were doing, they just did it. Asking questions of the teacher was discouraged. Zhang said that if you asked a question, the teacher would become angry, so you really had to be clever to figure things out. Zhang said that these teachers would show the movements of the forms and give a small bit of explanation, but it was up to the student to practice hard and explore his or her own realizations about the movements and techniques. In addition to Wang Shu Jin's Ba Gua, Zhang also studied another system of Ba Gua which was taught by a man named Wang Jia Rui (i ^ in Jia Yi. Jia Yi is a town in Taiwan which lies between Tai Chung and Tai Nan. Zhang said that when he met Wang Jia Rui, he was already teaching himself, however, when he saw Wang perform at a martial arts demonstration he really liked what he saw and asked Wang if he could study from him. When Zhang met Wang Jia Rui, Wang was already in his seventies. Zhang said that Wang was skilled at both Ba Gua and Tong Bei (¿1 % and that Wang Jia Rei's Ba Gua was more complicated than the Ba Gua he learned from Wang Shu Jin. He also said that Wang Jia Rei's teaching was more application oriented. 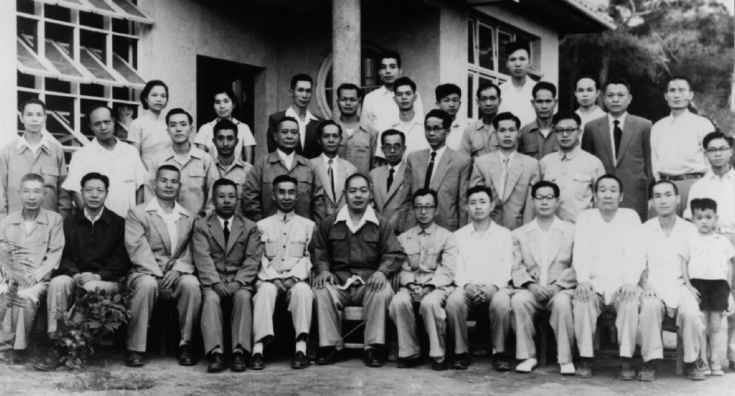 In 1964, Zhang Yi Zhong and Wang Shu Jin were both invited to attend a martial arts event in Japan (Wang had been traveling to Japan to teach since 1960). During the event, those Japanese who were interested in learning the Chinese styles of martial arts were pleasantly surprised to find out that Zhang could speak their language. Eager to learn more than they could absorb during a short visit, a group of Japanese martial artists asked Zhang if he would stay in Japan and open up a Chinese martial arts school. 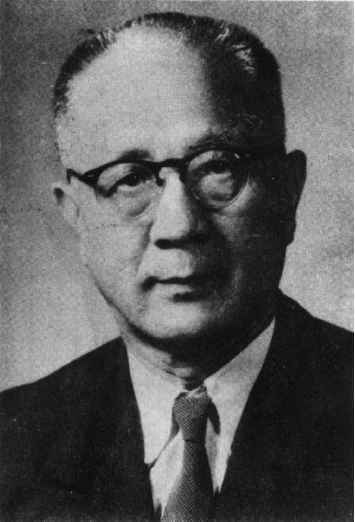 Zhang agreed to do so and spent the next eight years living and teaching in Japan. Understanding why Zhang decided to stay and teach Chinese martial arts in Japan is to understand Zhang Yi Zhong, his teaching, and his philosophy. Most Chinese of Zhang Yi Zhong's generation do not have many positive things to say about the Japanese. When the Japanese invaded China in the late 1930's through the end of WWII, they were very brutal to the Chinese people. The Chinese people who lived through the tragedy still remember the brutality well and hate the Japanese aggressors for what they did to their country and their people. So why would Zhang Yi Zhong, a man who saw the Japanese brutality first hand during the war, want to live with these people and teach them his martial arts just 20 short years after his country was at war with Japan? Zhang's long time student, Joe Deisher, who met Zhang while Zhang was teaching in Japan in 1967, says that the main reason Zhang wanted to teach the Chinese internal arts in Japan was to show the Japanese that gaining strength and power through aggression was not the way to live life or solve conflict. Deisher further explains that the Chinese character, wu p^), (the "martial" in "martial arts") combines the symbol for "spear" f^i) with the symbol for "stop" (at-). Thus the character "wu," which is central to both the Japanese and Chinese phrases fro martial arts, refers to "stopping weapons." Zhang believes that "wu" of "martial arts" should not be about conquering an enemy, but about resolving a conflict. In Zhang's view, resolving the conflict does not mean that their must be a violent confrontation. The resolution can best be reached through nonviolent means. Zhang's purpose in teaching the Japanese about Chinese internal martial arts was to show that brute force, rigidity, power and aggression were not superior to flexibility, suppleness, refined skill, and intelligent employment of passiveness. True to his teaching and beliefs, when Zhang opened his school in Japan he called it a "Sage Arts" school in stead of a "Martial Arts" school. 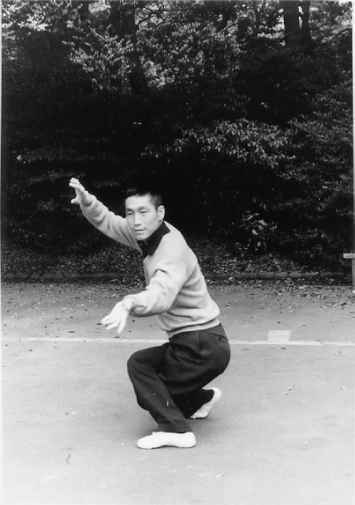 Chen Pan Ling was the instructor who brought the Nanjing Tai Ji form to Taiwan. Because Chen was one of the individuals who developed the form, it is commonly known in Taiwan as Chen Pan Ling Tai Ji. though they have gained something from the experience. In order to do this, one must give up the idea of being a victor, a winner, a conqueror, a warrior, and think about becoming a sage. This is why Zhang calls what he teaches the "sage arts." He says that the study of internal martial arts is not about becoming a warrior, it is about learning the way of the sage. Zhang explains that when someone confronts you or challenges you in some way, you have entered into a relationship with that person. You must decide what you want from the relationship. If your idea is to defeat that person by physically harming him, humiliating him, or otherwise beating him down, you do not have the attitude of the sage. If someone comes to take away your money and you think, "I must beat this person so I can keep my money," then you have created a situation which leads to a "win-lose" confrontation. If you beat the person and keep your money, you win and he feels defeated. If he beats you and takes your money, you have been injured and have lost your money. Zhang's solution to this confrontation would be to just give the other person your money and walk away. Zhang says, "He feels good because he has your money, but you have really come out ahead in the long run. He will take your money and buy unhealthy food, cigarettes, liquor, and drugs. Eventually he will kill himself and you will still be healthy and happy." Zhang continues, "Look at me, I do not own many things, I do not have much money, but I am seventy-five years old and I am very happy and healthy. I am looking forward to the rest of my life." Because Zhang wanted to teach the Japanese his philosophy of the "sage arts," when other martial artists came to Zhang's school to challenge him, he never took it as a personal challenge. The relationship he choose to have with these challengers, no matter how aggressive they were, was one of sharing and friendship. He would always meet their request for a physical demonstration of his skill and he was always able to show that he and his art deserved respect, but he also always showed compassion for his challenger. He was never brutal or excessive, even when the challengers tried cheap shots and dirty tricks. His challengers always went away feeling a bit humbled by the experience, but never felt "defeated." Zhang always made new friends instead of enemies in these situations. Zhang Yi Zhong taught his martial arts in Japan until 1972, when he returned to Taiwan. While Zhang was in Japan teaching, his family remained in Taiwan. During the summer, when his kids were out of school, Zhang would go back to Taiwan for one month to spend time with his family. When his daughter was old enough to attend college, she went to college in Japan, graduated with a degree in agriculture, and then moved to the United States. In 1972, his son entered the military in Taiwan, thus leaving Zhang's wife home alone. At this point, Zhang thought it best to move back to Taiwan to be with his wife. When he returned to Taiwan, Zhang reinstated his teaching in Tai Nan. 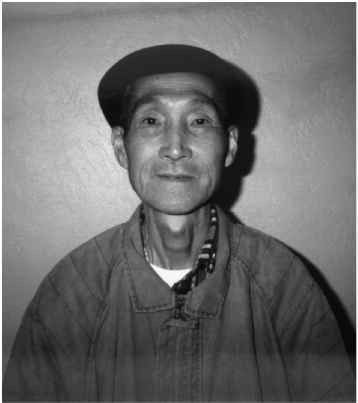 In 1979, Zhang moved to the United States at the invitation of Joe Deisher and a group of Tai Ji students on the Northern California coast. When the group submitted the paperwork to apply for Zhang's VISA to bring him to the United States as a martial arts instructor, as part of the VISA granting process, the American Embassy sent a young burly Chinese man to visit Zhang and verify his qualifications as a martial arts instructor. The man met Zhang and, with appropriate courtesies, told Zhang he had to test his ability as a martial artist. He said, "We have to know that you are real." The man tested Zhang's skill and was fully satisfied that Zhang was a martial artist. Later, when Deisher checked with the federal office through which the VISA was issued he was told that there was no doubt in their minds that Zhang was a fully capable martial artist. Zhang was issued a VISA to enter the United States as a professional martial arts instructor. Zhang Yi Zhong teaches the internal martial arts, what he calls the "qi arts" in order to give his students culture, a model for relationships, and a lifestyle philosophy. What he primarily uses as the vehicle for this teaching is the Tai Ji system which was developed by Chen Pan Ling and various other instructors at the Central Martial Arts Academy in Nanjing during the 1930's1. He primarily learned this form from Wang Shu Jin, with Chen Pan Ling giving advise and direction on occasion. However, Zhang says that over the years he has made some slight modifications based on his personal experiences. In Ba Gua, Zhang starts students learning Wang Shu Jin's system and then later teaches them the more complex system of Wang Jia Rui. While it is true that Zhang was a student of Wang Shu Jin and no doubt learned a lot from him, I do not get the impression that Zhang would give Wang Shu Jin the credit for the art he teaches today. The physical framework of Zhang's teaches was derived from what Wang taught, however, the depth of Zhang's teaching comes from his seventy-five years of personal experience, research, and study. 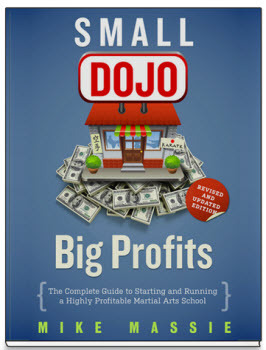 Zhang has spent his entire life intensely researching and studying martial arts, health maintenance, diet, and philosophy, and continues to do so today. Zhang tells his students that they must never be content with what they have learned from him. They should always continue to study, practice, research and illuminate. He states that if his students do not take what they have learned from him and continue to take the art, culture, philosophy, and self-cultivation process beyond what he has shown them, then he will have failed in his teaching. Zhang considers the information he passes along to his students as a base, a foundation. He says that he provides his students with a base of principles. From these principles, integration, discovery, variation, and change emerge continually. It is a never ending process of growth and maturation. This changing and growing keeps the art alive and limitless. Zhang says that when students only copy without trying to create, the art becomes lifeless. He gives an example of two people drawing a picture of a third person. Although the two drawings are of the same object, they will not be exactly the same. He explains that the "art of drawing" lies in the differences between the two pictures because the differences define the individual interpretation and creativity. He says, "The difference is what gives it life. The art is in the difference. If the two drawings were exactly the same there would be no art." He feels that it is the same in martial arts. If two individuals interpret and execute a form or application exactly the same, there is no art, there is no life. Zhang says, "The martial arts have life in the projection of personal interpretation of principles. The principles form the root and the trunk of the martial arts tree. Individual interpretation is expressed in the leaves and twigs. The leaves and twigs can blow freely in the wind without disturbing the trunk."